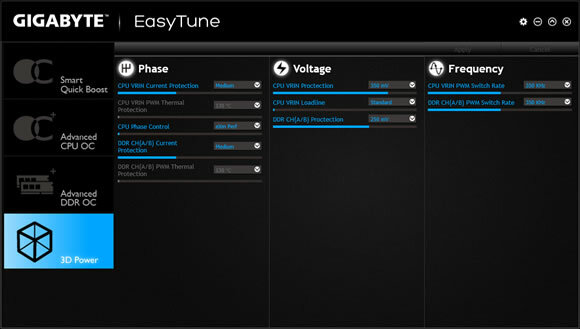 GIGABYTE‘s EasyTune™ is a simple and easy-to-use interface that allows beginner and expert users to fine-tune their system settings or adjust system and memory clocks and voltages in a Windows environment. (Note) Please install APP Center first before installing this utility. from to achieve desired system performance. 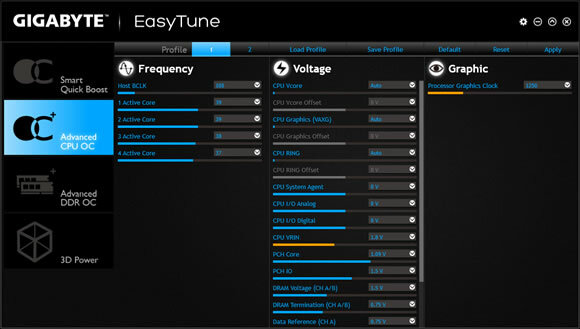 Advanced CPU OC allows users to set the CPU’s base clock, frequency and voltages, and integrated graphics frequency. 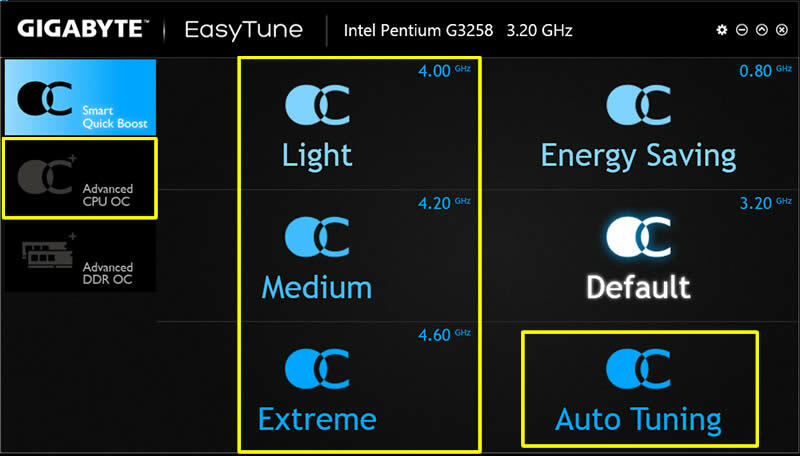 Advanced DDR OC allows users to set the memory clock with XMP profile support. 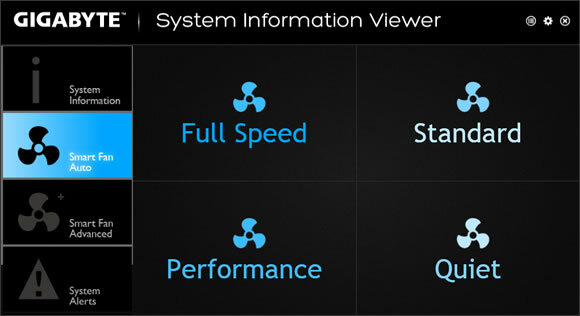 GIGABYTE System Information Viewer is a central location that gives you access to your current system status. 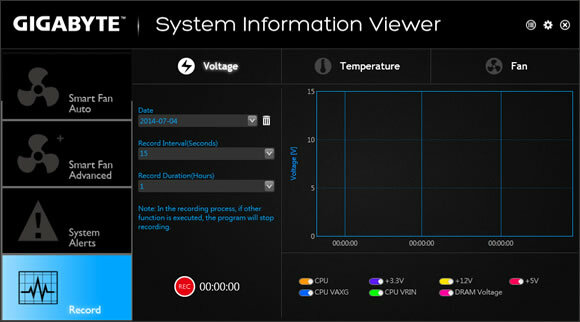 Monitor components such as the clocks and processor, set your fan preferred speed profile, create alerts when temperature gets too high or record your system’s behavior; these are the possibilities of the System Information View. 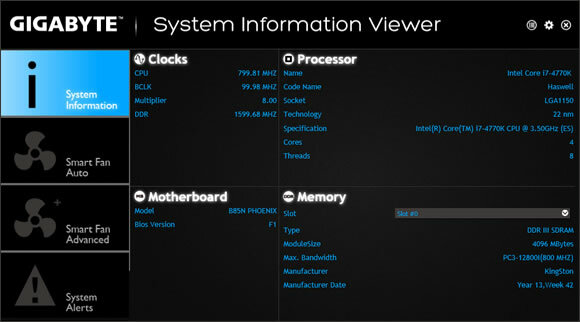 model name and the BIOS version, and in place memory. The Smart Fan Auto tab gives users access to 4 different Smart Fan modes. 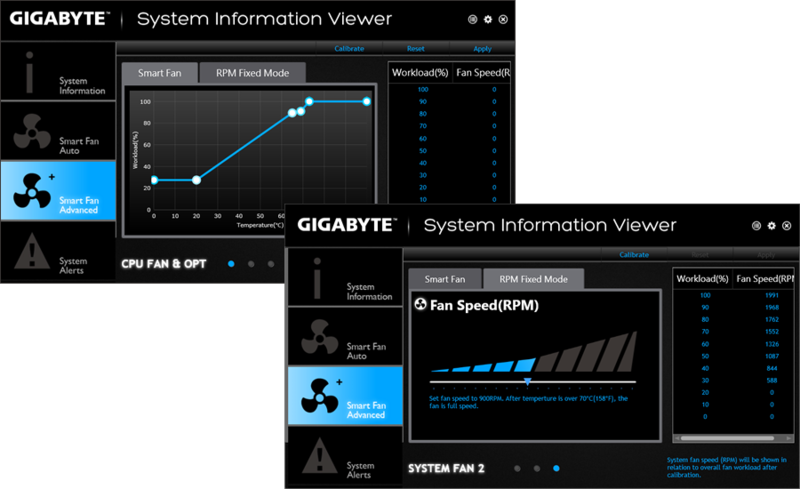 The Smart Fan Advance tab allows users to manually adjust each fan’s curve ratio with fan calibrate feature to synchronize all system fans. 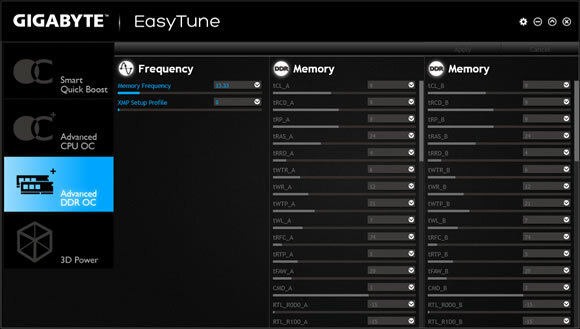 The Record feature allows users to record all hardware status during a set period of time. The pictures are subject to change without notice. Through the simple GIGABYTE Fast Boot *interface, you can enable and modify the Fast Boot or Next Boot After AC Power Loss system settings in a windows environment. This option is the same as the Fast Boot option in BIOS Setup. 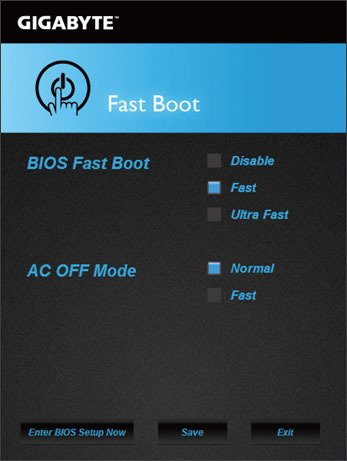 It allows you to enable or disable the fast boot function to shorten the OS boot time. This option is the same as the Next Boot After AC Power Loss option in BIOS Setup. 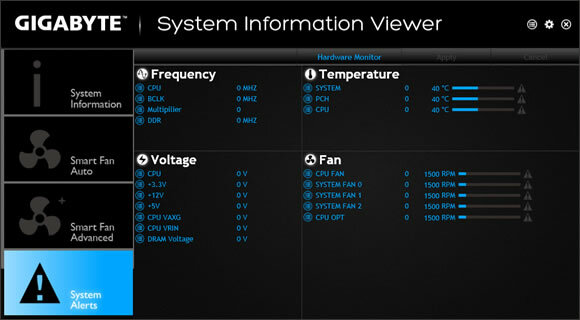 It allows you to select the system boot mode upon the return of power after an AC power loss. * This function is supported by Microsoft Windows 8.1/8 only.